Connie talks us through her ah ha moment on decluttering clothes in this comment. Many of the readers including me already enjoyed and responded to what Gail had to say in this comment Josh’s guest post. Spendwisemom makes a good point about moving your belongings in this comment. 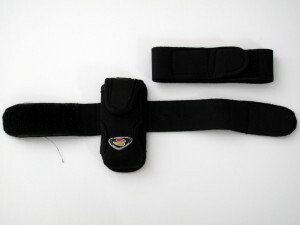 Arm mounted iPod carriers are probably handy if you exercise at the gym or jog. We exercise by walking together and chatting. We really have no need for this so off to the thrift store it goes. The meet & greet function that I have been organising is over. It was quite successful which I am happy about but I am also grateful the it is behind me. Why do I insist on getting myself involved in these things. Some really good comments and links. I certainly enjoy your blog Colleen and all the great comments. It’s become a sisterhood here. Thanks Deb J, I feel the same way. Perhaps I should change the blog name to the Sisterhood of the Decluttered Possessions. But them my small number of male readers would feel rejected and I wouldn’t want that. 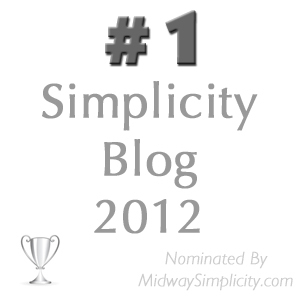 It’s funny actually that there are a lot of male minimalist bloggers but not a lot of males that interact on my blog. I suppose though that it isn’t really a minimalist blog either and women often think somewhat differently to men. I wonder whether this is because the wife has historically been more responsible for the home (even in my generation) and therefore for dealing with the accumulation of clutter. This is the case in our home. My husband works long hours and I work only part-time; therefore, I am the one who cleans and the one who sees how much excess stuff we have that I have to clean over, under, and around! This may be changing with the next generation where the responsibilities seem to be truly more evenly shared, at least from what I see in my extended family and my friends and co-workers. I would be interested in what others think about this, though. I have two brother-in-laws and a brother who certainly do their fair share around the house. Their wives work of course though. Hi Jo, yes I imagine the next generation might be quite different although I seem to be coming across more and more mothers recently who are choosing to have four or more children. That is a full time job on its own and usually those who choose to have big families aren’t the ones who choose to go back to work. Mind you with a family that big the husband would need to be doing something around the house just so the mother can keep up. Although my father didn’t and I was one of five. As you know from the hand stabbing incident though we all pitched in with the chores taking some of the load off our mum. Colleen, Thanks for the plug! Still no word from Maureen. Thanks for the links. It was enjoyable to take a few minutes today and read through them and see if any apply to me. Have a great day. Speaking of “notable quotables,” this was printed on a bottle of Synergy kombucha that I was drinking today: “The less that I own, the less that owns me.” I love that! And I couldn’t agree more Eve. Well spotted. its from the song “everything is everything” from a really good band called phoenix. These two lines are speaking to me everytime I listen to that song again. I will have to check that song out but I am sitting next the my hubby on the sofa while he watches Raiders of The Lost Ark. I am sure he doesn’t want me playing music in his ear at the same time. I will check it out later though. I found your blog by way of Joshua Becker, and am glad that I have. “certain age,” and it is different for everyone, it’s time to let go. job and providing wonderful insight. I received this comment from Judith via email but wanted to share it with you here. I have responded to her offline. She makes some fine points and is speaking from experience. I feel sad for those who don’t get it. The joys of living with less that is. Especially those who put themselves in debt or living from pay cheque to pay cheque trying to find happiness in stuff. And judging from the number of readers who write about having to deal with the stuff left behind after and elderly loved one has passes away, Judith is right wisdom doesn’t always come with age. Is it that those people gain (or hope to gain) happiness in more stuff, or in their perception of how people see them with all that stuff (i.e so “rich”, so “sophisticated”, so “comfortable”, so “well-off”, so “so with-it”)? There is a great freedom in choosing your own path, not necessarily “fashionable” or whatever, just “yours”. People reach it at different points in their lives, and it seems to me, some never do. To me they are sad; to them I suppose I am! I am so happy I learned this at the age of 27. I can live a sustainable life. I can make a difference. I dont get a thrill out of things, but time to do things. While they love to acquire things and surround themselves with it, I love to throw things out and live with less. I feel blessed and lucky that I got this wisdom at an early age. I am already happy with my lifestyle and I still think I can improve it. I dont feel competitive towards others, greedy or disadvantaged. I feel lucky, wealthy, healthy and sometimes even a bit too well-off. I want to make a change in this world and I think I can do it. Good for you Lena. What a great age to have learned to live this way. I suppose I could say that I have always lived within my means but I have certainly learned a thing or two about living with less and being environmentally friendly in the last couple of years. I have never bean wasteful though and I am glad of that. So true Ann on all counts. Many people do accumulate stuff (and debt) to exude a persona that makes them look affluent. I am just glad I am not one of them although that little gremlin does sneak in at times when I talk about travelling and fine food. I make no bones of the fact that I can afford those things because I don’t waste my money on stuff and don’t rack up debt trying to be someone I am not and don’t care to be. I don’t care what people see I just care about what I enjoy. Well, there may be no magic system to change your life, but I have to say, Colleen, that your blog has changed mine. I have a long way to go, but in the past seven or eight months I have also come quite a long way. And it’s seeing your posts EVERY DAY that does it. Not now and then or every week or when you feel like it, but wonderfully, consistently, every day. And not a bunch of cobbled together, regurgitated nonsense, but real, living words. Thank you so much. Well said, Shirls! I second this, and add my thanks too. I learned so much here, and while I am still “in progress” and will be for awhile, I have the confidence that I can make decisions now. That is a major step for me. Thank you Jo and good for you. It is good to be able to see the progress you are making, whether that be with the clutter or with the decision making process. And even better when it is both. Thank you Shirls what a lovely compliment. I do speak from the heart with every post I write as does Cindy I would think. We just talk about what is going on in our heads and in life around us. There is not false, try hard crap because we are trying to sell something. Just genuine thought processes and desire to help others. I think that we are blessed to have Colleen and Cindy consistently giving us things to think about in our journey to less. I sure know how it helps me just to know that there are others out there who want the same things and struggle with some aspects of it. Here’s “3 cheers” for Colleen and her blog.